Battersea Park station is on the list. This 3D Google Map shows the station. It’s a bit different to the average commuter station. This will be a challenging station to install step-free access. The station is Grade II Listed. Platform 2/3 is reasonably wide, but Platform 4/5 is narrow. The station handles ten trains per hour (tph) in both directions. In 2017-18, the station handled nearly two million passengers. 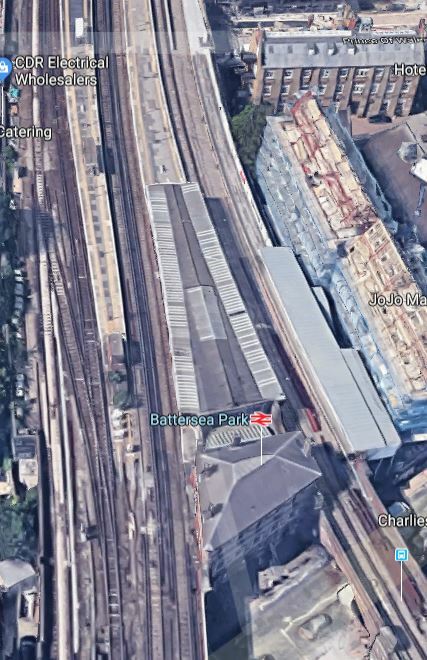 The station will have an out-of-station interchange with the new Battersea Power Station station, when that station opens. As the pictures show, the entrance hall has been tastefully restored in the last few years. Surely, only a masochist would work on installing lifts in this station.